Since LG has moved to release two flagship smartphones a year, a lot of people have begun to ignore the LG G series. The LG V series had originally used its secondary display as a way to differentiate itself from the G series (and the rest of the smartphone market). However, that ended with the LG V30, making a lot of people upset, but gave LG a chance to use the LG V series as a device optimized for taking photographs and recording videos. It’s hard to show more focus on the camera than by including 5 cameras, and the latest press render for the LG V40 ThinQ shows that’s the direction they’re going in. To show that LG is committed to the video market, the company has partnered with actor and director Joseph Gordon-Levitt for the LG V10, LG V20, and the LG V30. 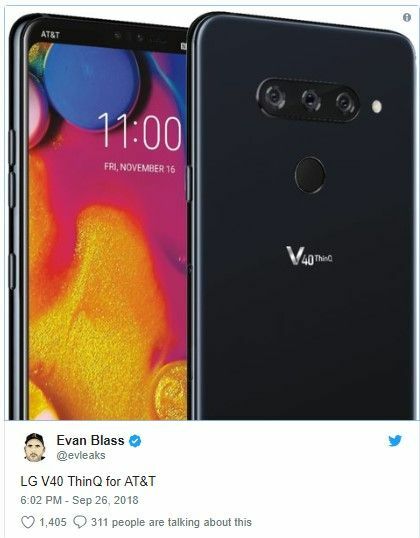 It was the pre-launch of the LG V30 when the actor used the online collaborative production company he founded, HitRecord, to produce some promotional material for the smartphone. We’re not sure if this partnership will continue this year with the launch of the LG V40 ThinQ (LG may not be able to afford the partnership), but details of the phone show they are still focusing on photos and videos. It was three months ago when we first heard that the LG V40 might be launching with as many as 5 cameras, a display notch, and a dedicated button for Google Assistant. When people first heard that, many assumed they would all be put on the back of the phone, but a leaked render showed it was going to be three on the back and two selfie sensors. That leaked render also confirmed the notch (though it was hidden by a black status bar). It did back up the initial rumor about a fourth dedicated button that presumably would be used to launch Google Assistant. It only took a handful of days later before another leaked render was released that did show there would be a fourth dedicated hardware button, and this one again showed it was going to have a notch at the top of the display. This latest render comes from a highly reliable source, many who know of him as evleaks. The render from Evan Blass shows there are 4 hardware buttons and a very well hidden notch. LG appears to be trying very hard to hide the notch, as this has been a common theme in previous leaks. As with all leaked information, nothing is official until we see what the company releases to the public. 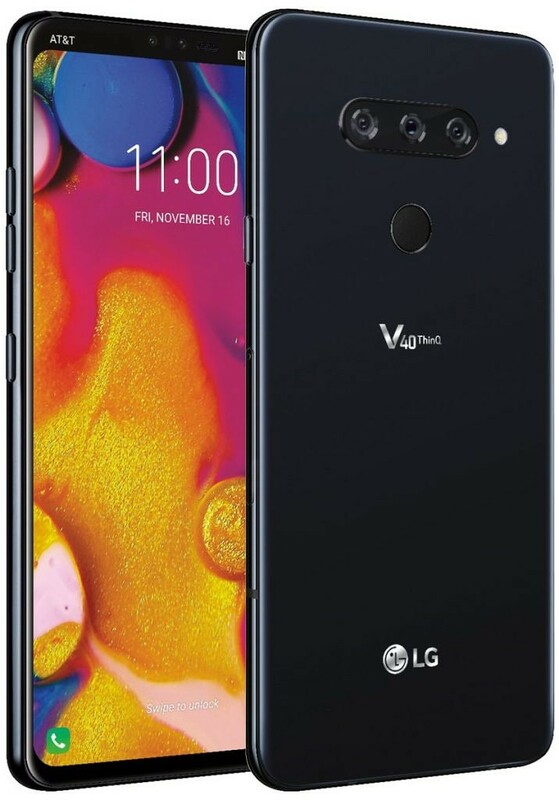 But as of right now, the LG V40 ThinQ looks to be coming with a dedicated hardware button (again, presumably for Google Assistant) and no notch at the top of the device. October is going to be a very busy month for smartphone reviewers. We are getting many new devices launched this upcoming month, and we have started receiving many images of them. The last one to show more of its design in images is the LG V40 ThinQ, and man does it look nice. New leaked renders of the LG V40 ThinQ have appeared thanks to Evan Blass. These images show us the triple camera on the back panel of the device along with the fingerprint sensor. We are also getting a new Google Assistant Button and a true effort to make bezels disappear. The chin of the device has gone slimmer, and the notch is present again, in a smaller version that can also be hidden with software.